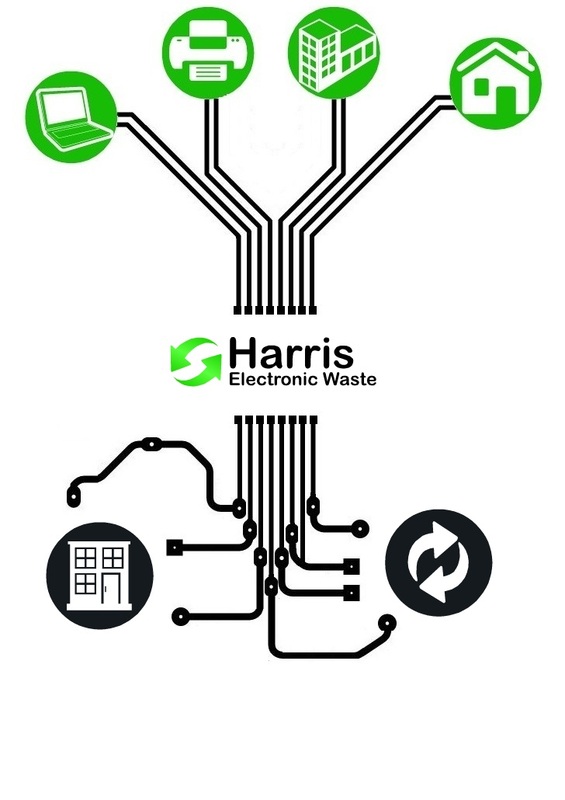 Harris Electronic Waste (Pty) Ltd. is considered a dismantler of electronic wastes. We take faulty, dysfunctional and end-of-life electronics, separate them into different waste streams and pass them off to specialized recyclers in order for complete recycling. Our practice reduces the amount of wastes that end up in landfill sites, increase the value of certain articles that are reused and create jobs for our employees through recycling. Electronic Waste is collected from businesses and individuals such as computer and printer manufacturers/distributors, general administrative businesses and housholds. The waste is then processed and either dismantled into smaller waste streams or salvaged for possible reselling (Note: If you require your electronics to be destroyed, we will mark it and make sure it is properly disposed of. From there, the waste is sold to vendors and the salvageables sold to resellers. If electronics are not required to be destroyed, we make it a priority to try resell it to individuals that may find use for it. Not only does this reduce the amount of input needed to recycle the electronics, but also creates an entire new industry, increasing our economic activity as a country as well as making it possible for less fortunate individuals to purchase needed electronics such as computers. So, Why Go With Us? Service is our Best Quality. We understand that once our clients have gone through the hassle of contacting us to remove their waste, they have already given too much effort to the removal of their old and obsolete electronics. Therefore, we take care of all your waste needs in order to ease the process of getting rid of your unwanted goods. It takes up space, which costs our client money and most importantly, does not add value to their business. This is why we implement such strict policy when it comes to our collection times and availability so as to ease the irritation of your redundant waste..
We understand your position, will listen to what you have to say if we do not and will work around your schedule to make sure your day goes that much smoother.